The foundation of our practice is our fantastic team of dedicated professionals. 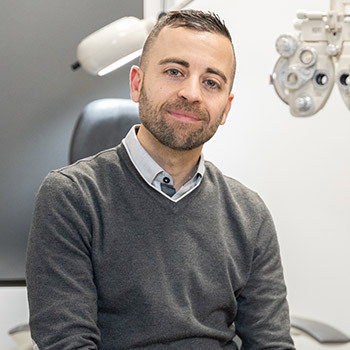 Dr. Bahoshy attended the University of Waterloo, where he graduated with an Honours Bachelor of Science Degree (B.Sc), as well as a Doctor of Optometry (OD) Degree. As part of his optometry training, Dr. Bahoshy completed an externship at the prestigious Omni Eye Institute in Baltimore, gaining extensive experience in diagnosing and managing ocular health conditions. He worked alongside a pediatric ophthalmologist at their satellite location in White Marsh. 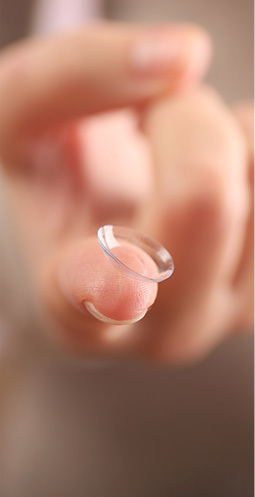 While in optometry school, Dr. Bahoshy spent two summers as a researcher at the world-renowned Centre for Contact Lens Research (CCLR) at the University of Waterloo, School of Optometry, learning about the latest in contact lens technology. Dr. Bahoshy began practicing at Stoney Creek Eye Care (formerly known as Dueck Optometry) in 2001. In October 2017, Dr. Bahoshy became the clinic’s new owner, continuing the commitment of serving Stoney Creek and the surrounding community. Today, Dr. Bahoshy is an active member of the Ontario Association of Optometrists (OAO), the Canadian Association of Optometrists (CAO), and the Hamilton and District Society of Optometrists. He is also an affiliate doctor at TLC Laser Eye Centres. When not seeing patients, Dr. Bahoshy enjoys swimming, going to the gym, and spending time with his wife Cynthia, and their two young boys, Pierre and Leo. Dr. Yeaman attended McMaster University, receiving her Honors Bachelor of Science degree in Biochemistry in 2012. In 2016, Dr. Yeaman completed her Doctor of Optometry degree at the University of Waterloo. During this time, she took part in an externship program in Mobile, Alabama, where she gained experience in the management of retinal and neuro-ophthalmic diseases. 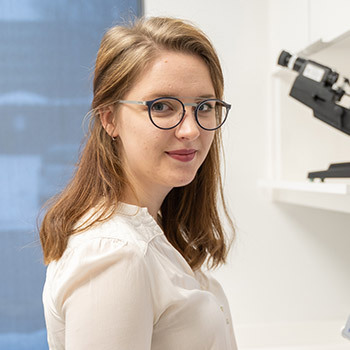 After graduation, Dr. Yeaman completed a residency in Sports Vision and Vision Therapy in Calgary, Alberta, where she received advanced training in pediatric optometry, binocular vision disorders, and vision therapy. Dr. Yeaman even became the official optometrist for the Calgary Flames hockey team. In her spare time, Dr. Yeaman enjoys getting active; she can usually be found running, climbing, playing volleyball, or backcountry hiking. Dr. Chin began her schooling at the University of Guelph, where she studied Biomedical Sciences. She attained her Doctor of Optometry degree in 2016 from the University of Waterloo. 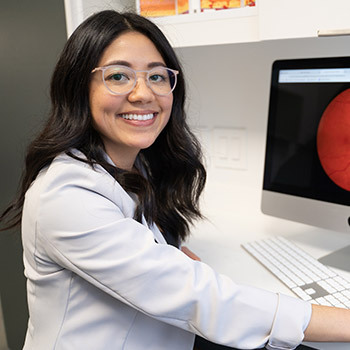 Since graduating, Dr. Chin has worked alongside distinguished ophthalmologists and optometrists in Ontario and offers a full scope of services to her patients including managing ocular emergencies, providing specialized exams for those with diabetes, glaucoma, or macular degeneration, and offering LASIK/refractive surgery consultations and follow-ups. Dr. Chin enjoys fitting multifocal contact lenses and relieving eye strain with task-specific glasses. Her goal is to provide clear, functional vision to people of all ages. In her spare time, Dr. Chin loves practicing yoga, playing soccer, and traveling with friends and family. 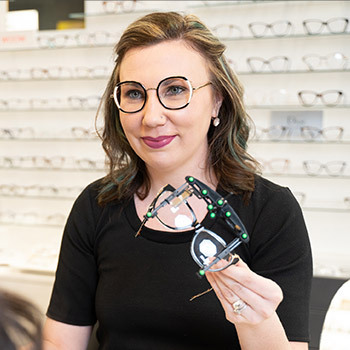 Danielle is truly an indispensable member of the team at Stoney Creek Eye Care & Eyewear Boutique. She has been in the eye care industry for over a decade, and has attended CDI College for Executive Office Administration. Danielle is deeply passionate about her patients experience and strives to ensure it is the best it can be. She also cares a lot for her team and describes them as her second-family. Outside of the office, Danielle leads a busy lifestyle as a mother, sister, wife, daughter and dog lover. She enjoys baking cookies as well as expanding her wardrobe with vintage items and her own sewing creations. Amy has brings passion, dedication, integrity and a healthy dose of fun to our practice! She feels her co-workers are family, and loves spending time with them as well as with her patients. Amy received highest honours with her Diploma of General Office Administration from the Center of Distance Education in Nova Scotia in 2013. 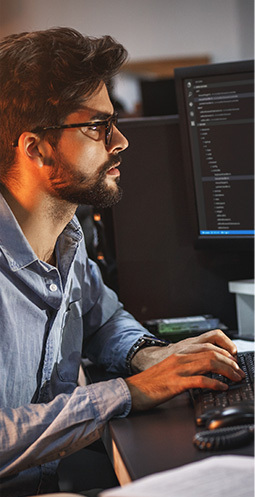 She also took the CCOA training courses available through the Ontario Association of Optometrists and received accreditation for such in 2018. We are happy to say she chose to start her career in the eye care industry with us. 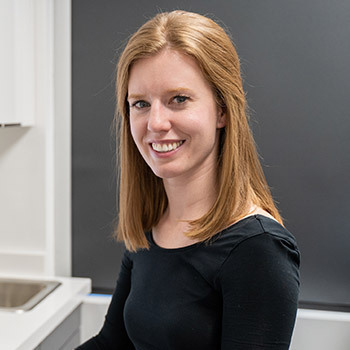 Amy is passionate about everything to do with music, enjoys hiking and travelling, and takes great pride in helping her patients to find the perfect frame and fit when they come to Stoney Creek for help. Jen is one of the newest members of our team and we are extremely happy to have her here. Jen brings a great personality and incredible skill to our practice, and is enthusiastic about learning. 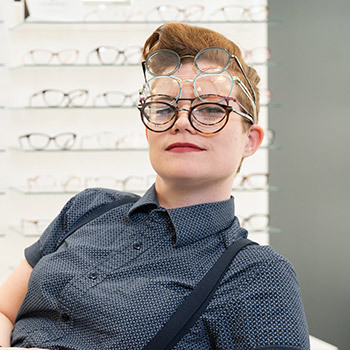 She appreciates the science of optometry and enjoys sharing her insights while educating her patients. Jen graduated from the University of Western Ontario in 2011 with her Bachelor of Science in Nursing, and also attended George Brown College, taking Social Media Analytics courses. 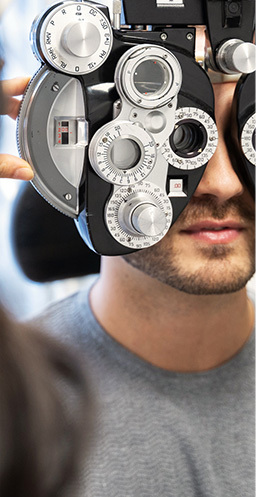 She obtained her Certificate of Optometric Assistant with CCOA in 2018. Jen is already close with her coworkers, and enjoys activities such as hiking and tree trekking in her free time. Jen is also a dog lover and likes to read and travel when she can. Maria has over 13 years of administrative experience in the health and medical industry, which brings a lot to the table for our team. She is a high-spirited individual who has been working as an optometric assistant for about 1.5 years and is passionate about our patients. Maria finds fulfillment in her job because of the position it puts her in to bring genuine care and education to her patients. She loves reading, cooking and spending time with her grandchildren. 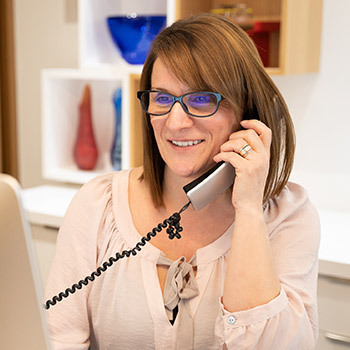 Kelly has been in the eyecare industry since 2013. She is a kind and unflappable member of our practice who we appreciate for the joy she brings to our work. 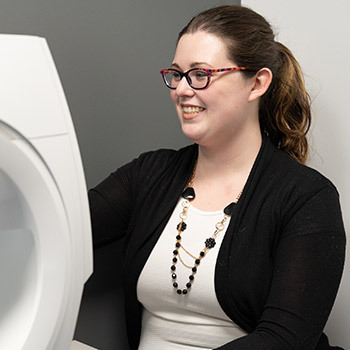 Kelly takes pride in ensuring her patients are happy and confident in the information she gives them, and really appreciates being able to educate her patients on their optic health. When Kelly is not in the office she enjoys hobbies such as painting, embroidery and horseback riding.